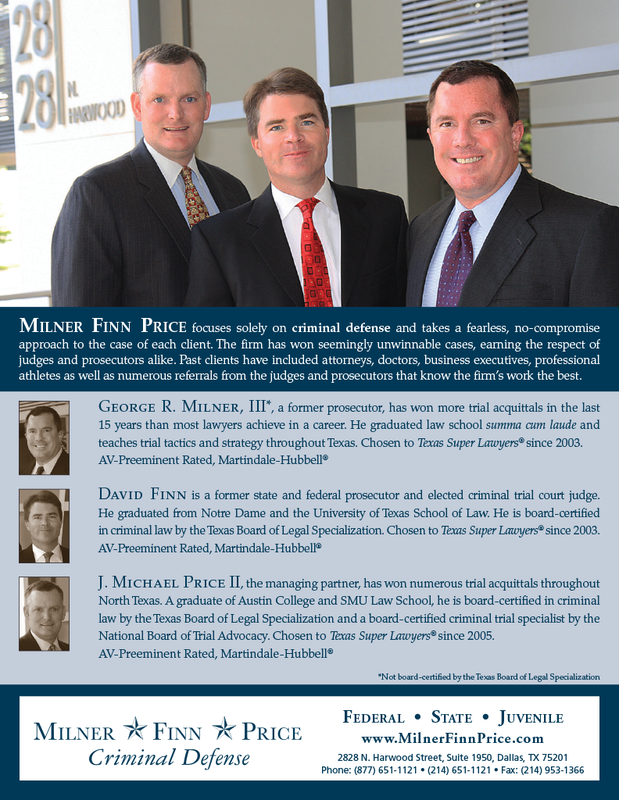 MILNER FINN PRICE focuses solely on criminal defense and takes a fearless, no-compromise approach to the case of each client. The fi rm has won seemingly unwinnable cases, earning the respect of judges and prosecutors alike. Past clients have included attorneys, doctors, business executives, professional athletes as well as numerous referrals from the judges and prosecutors that know the firm’s work the best.